New bundles give players choices of games such as Killzone: Shadow Fall, Battlefield 4 and FIFA 14. 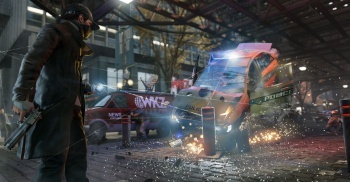 Players eager to get their hands on Ubisoft's hacker-themed open world game Watch Dogs, set to release alongside this November's next console generation, got some disappointing news earlier this week when it was announced the game would be delayed until this coming spring. While both GameStop and Amazon confirmed that customers who pre-ordered an Xbox One or PS4 bundle with the game would still get their new console, no word was mentioned on whether a new game would be included to replace the delayed Watch Dogs. According to a Reddit user, however, Amazon.co.uk is now offering one of five different PS4 bundles to replace the one planned for Watch Dogs. Reddit user Shaunyac said Amazon contacted him via an email, directing him to this website where he could pick his new bundle after entering an order ID number. The new options give players a choice of games including Killzone: Shadow Fall, Battlefield 4, Need for Speed: Rivals and FIFA 14, as well as packs that come with an extra PS4 controller and the PS4 camera. Customers have until Oct. 23 to change their order, or they will receive only the PS4 console.